Searches for the word ‘vegan’ on Waitrose.com has also doubled in the last year, and the retailer is keen to take advantage of the rapidly growing demand for plant-based products by adding 14 brand new vegan products. Last year, Waitrose supermarket became the first supermarket in the UK to add a dedicated vegan section in 125 stores nationwide due to rising demand. 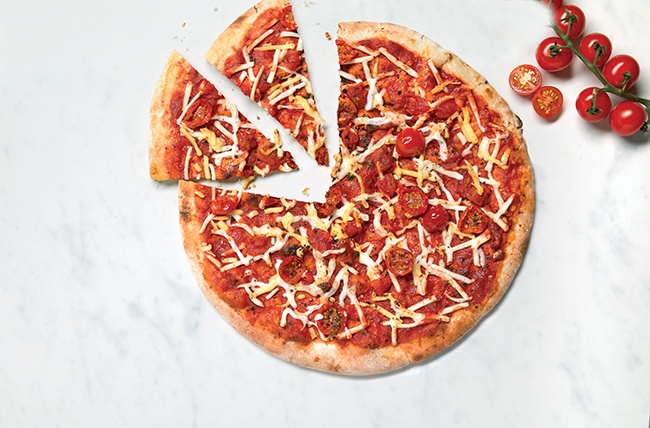 Searches for the word ‘vegan’ on Waitrose.com has also doubled in the last year, and the retailer is keen to take advantage of the rapidly growing demand for plant-based products by adding 14 brand new vegan products to its recently-released vegan range. In a bid to offer customers something different, the supermarket launched vegan Fish‘less’ fingers, which have already proven popular with customers, helping sales of its vegan and vegetarian ranges increase by 110% and encouraging the retailer to increase its offerings even further. Now the retailer is adding more innovative new products to give customers plenty of choice. 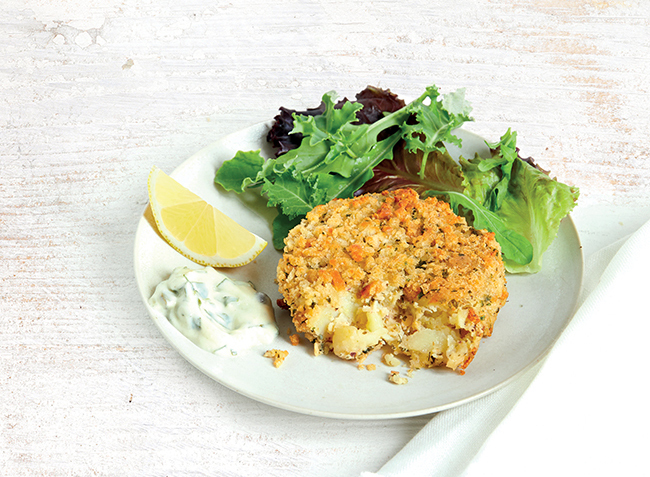 Fish’less’cakes – These vegan fish’less’cakes have been made with chunky potatoes, butterbeans, herbs and seaweed for the ultimate fish flavours. The supermarket is also launching a Vegan Tartare Style Sauce that pairs perfectly with the ‘fish’ cakes. 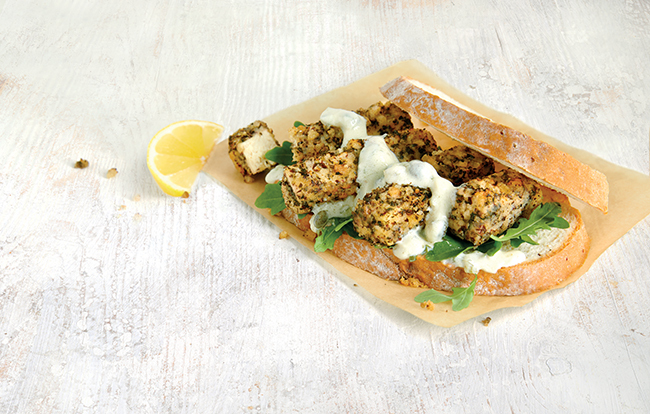 Fish’less’fingers – Inspired from street food trucks, these fish’less’fingers are made from breaded seaweed tofu for the ultimate seafood flavours. Italian Inspired Veggie Balls – Packed with mushrooms, lentils & vegetables, and infused with herbs & passata for an Italian feel. Asian Inspired Greens & Smoked Tofu – Fresh vegetables include Pak Choi, Chinese leaf, Fine Green Beans, Tenderstem Broccoli tips and Edamame beans. Cauliflower, Chickpea & Potato Curry, Jackfruit Burger, Vegan Tartare Style Sauce and a Vegan Mac & Mushroom Pasta. You’ll also be able to find some new options for lunches on the go in the form of a Pickled Dill Carrot & Tabbouleh Salad with beetroot houmous and a Vegan MLT Sandwich with mushroom, lettuce & tomato. Discussing the latest additions to the range, Waitrose & Partners Chilled Vegetarian and Vegan Buyer, Chloe Graves, said: “The growing appetite for meat-free dishes has been reflected throughout the year with rising sales of vegan and vegetarian products, as well as the introduction of exciting and innovative new products to the foodie market. The range is available in Waitrose & Partners branches and online.